Manchester United missed the chance to move third in the Premier League as they threw away a lead, had a man sent off and lost at Wolves. Scott McTominay's low strike from 22 yards - his first goal for United - put them ahead after 13 minutes but the hosts equalised 12 minutes later as Diogo Jota coolly finished from a Raul Jimenez pass. The visitors had captain Ashley Young sent off in the 57th minute for two yellow-card offences after he twice fouled Jota in a five-minute spell. 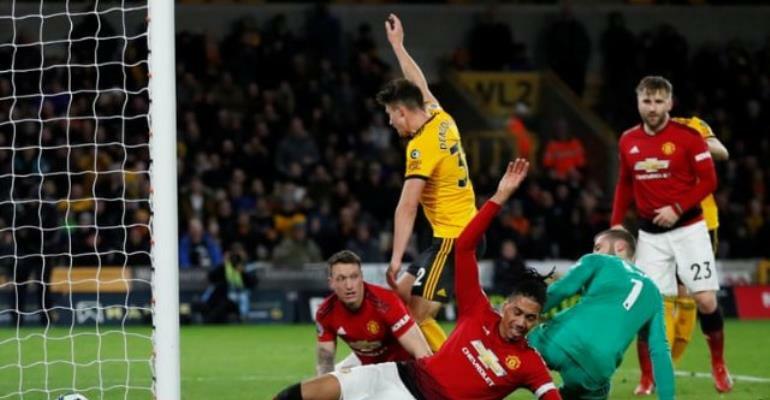 Wolves took advantage as they scored a scrappy second goal when David de Gea failed to collect the ball and it ricocheted off United defender Chris Smalling and into the net to give the hosts the win. The defeat was the first under Ole Gunnar Solskjaer since he was given the United manager's job on a full-time basis and left them fifth in the Premier League. United are level on points with fourth-placed Tottenham and two points behind Arsenal in third, but have now played a game more than both London clubs.